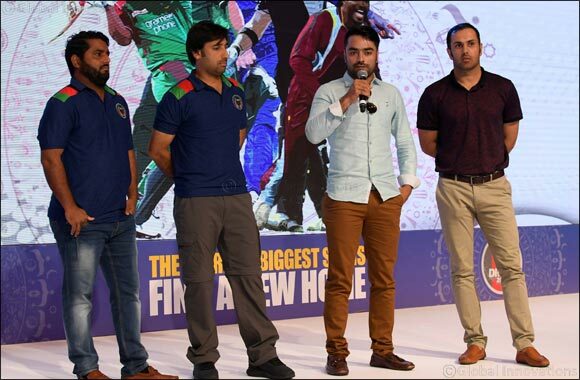 Dubai, 11 September 2018 : Afghanistan Cricket Board and Snixer Sports today held the Afghanistan Premium League T20 (APLT20) players draft for its inaugural 2018 edition. Consisting of 23 matches, the first season of the league is scheduled to take place from 5th October 2018 – 23rd October 2018. A total of five teams representing five regions of Afghanistan will play in the tournament. These franchises with their home ground are Kabul, Kandahar, Nangarhar, Paktia and Balkh. Speaking at the occasion Mr Shafiqullah Stanikzai, CEO, Afghanistan Cricket Board said “Each owner is supposed to have a Minimum $5,55,000 and Maximum $700,000/- player purse. The Franchise will have an additional purse of $145,000/- to purchase 3 players and if there is an unspent amount after picking the entire team, the same can be retained. The franchisees will be permitted for replacement of a player due to injury/unavoidable circumstances only on prior approval of the APL Governing Council. In case of an injury of a player, the replacement will be permitted only after assessment by a physiotherapist nominated by the ACB. The replacement player should necessarily be from the player pool of players available from the draft list. q Franchisees will not be permitted replacement, if a player is barred from the APL on disciplinary grounds. Snixer Sports was established by a group of cricket enthusiasts offering front-line sports management services. Its services include organizing local events to managing entire international-level tournaments, not to mention managing sports personalities, sports marketing solutions, for a cricket event. Snixer was previously known as Expert Eventers. The company since its establishment has garnered reliable partnership with its clients Every event is organized with a tailored approach, combining the ultra-modern infrastructural excellence with our innovative approach. For further details please visit www.snixersports.com.